LANSING — Millions of dollars have been spent on TV ads and campaign donations to state lawmakers. Lobbyists are raking in hundreds of thousands more. And although public testimony has been heard at a series of lengthy legislative committee meetings, if recent history is any guide, whatever the Legislature votes into law will come in the form of last-minute substitute bills — likely during the lame-duck session. All of that can only mean that Lansing is tackling an important and complex policy issue that will affect every Michigan resident. This time, it's a two-bill package of electricity and energy legislation that is purportedly about as high stakes as lawmakers' work at the Capitol can get — keeping the lights on in Michigan. Though some dispute the reliable supply of electricity is truly at stake, how much residents, schools and businesses will pay for power, how clean and efficient the state's electrical generation will be, and whether any effective competition will be allowed in Michigan's highly regulated electricity market, will all be affected by Senate Bills 437 and 438, which were reported out of a Senate committee in May. Sen. Mike Nofs, R-Battle Creek, chairman of the Senate Energy and Technology Committee and the main sponsor of SB 437, said Friday he hopes to move newly revised legislation in the Senate this week, though he doubts the House will take up his bill and its companion bill until after the Nov. 8 election. "What they decide is going to effect the entire state and it seems like the major special interest groups are having the largest influence on what is going on," said Craig Mauger, executive director of the Michigan Campaign Finance Network, who added that at least 145 registered lobbyists made their views known at committee hearings on the energy package — along with only about a dozen average citizens — who mostly told him they didn't feel like they were being heard. "The idea that a regular citizen, or a group of regular citizens, have the same ability to influence these bills that the two incumbent utilities have, is just laughable," Mauger said. 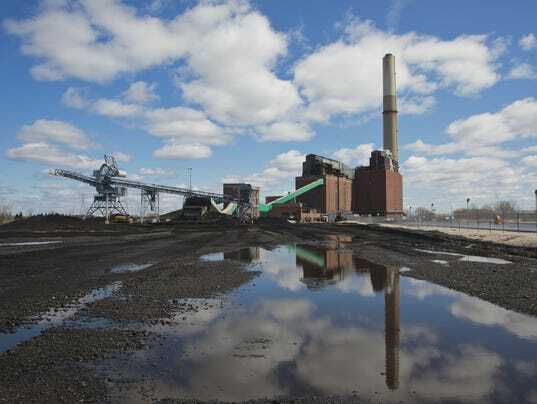 Michigan's main utilities — DTE Energy and Consumers Energy — are closing aging coal plants and say changes are needed to state energy law to assure they can build enough generation to meet all future needs. Citizens for Michigan's Energy Future, a nonprofit corporation supported by DTE and Consumers, spent $7.4 million in 2015 to make their case — much of that on TV ads warning of a looming energy shortage, the Michigan Campaign Finance Network reported in August. Spending reports for this year are not yet available. At issue is the "electric choice" market — alternative energy suppliers who, under current law, can serve up to 10% of the market with surplus electricity they purchase and sell to schools and other commercial customers at reduced costs. The big utilities say a longtime overcapacity in Michigan is drying up, and while they will make sure Michigan has enough capacity to serve their 90% of the market, they are not going to build to cover the other 10%, which they see as "free riders," without legislative changes. "The lights aren't out yet, but we need to move," DTE Chairman and CEO Gerry Anderson told the Free Press editorial board on Aug. 29. "The people who understand this, including me, are worried," Anderson said. Whatever happens, "we're going to take care of our customers," but "10% of the market are not our customers." The proposed legislation, which DTE and Consumers support, would still allow a 10% market for electric choice, but would require those alternative suppliers to have the electricity they sell lined up three years in advance. The alternative energy suppliers, along with free-market lawmakers such as Sen. Mike Shirkey, R-Clarklake, want to expand the choice market to serve thousands of potential customers now on a waiting list. They say talk of potential shortages is being overly hyped in order to kill electric choice, and requiring long-term commitments for cut-rate electricity would essentially do that. "This entire arena ... is rife with people cherry-picking pieces of information and then reframing them to advance their narrative," Shirkey said. "We don't have a pending, looming reliability gap." Nofs rejected the idea that DTE and Consumers have had undue influence on the legislation. If they did, "we would have had this done last year," he said. "Obviously, they are just one or two players in the same pot as the others, who are opposing, who also have spent thousands of dollars on ads, lobbying and writing op-eds to your paper," Nofs said. "I think it's an equal playing ground and no one has any more influence than the next organization." Nofs said Friday the federal government and MISO (the Midcontinent Independent System Operator), a nonprofit that administers and plans wholesale electricity markets, are now calling for "resource adequacy" assurances similar to what his bill was seeking. The amended legislation he expects to introduce this week will reflect that change, he said. Nofs noted alternative energy suppliers have said that MISO is in a better position than the state to determine if supplies are adequate, but MISO has come to a similar conclusion about the need for long-term commitments for alternative energy suppliers. Maureen McNulty Saxton, a spokeswoman for Energy Choice Now, a coalition pushing for greater energy choice, said MISO is drafting proposals to assure resource adequacy, but "MISO has not offered anything publicly yet and the federal government hasn’t approved anything yet." It's hard to understand how Nofs can redraft his legislation based on something MISO hasn't done, she said. "Last-minute changes, whatever they are, are just a last-ditch effort to save a discredited plan and jam through bad legislation, and lawmakers and their constituents see right through it," Saxton said Friday. The cost of electricity is another issue, as Michigan's rates are already high relative to other Midwest states. Nofs acknowledged Friday that rates will increase an unknown amount under his legislation, both for current "choice" customers — which includes many Michigan school districts — and for customers generally. But he said rates would increase in any case, because new plants have to be built and will need to be paid for. The legislation will require competitive bidding on those projects and require utilities to absorb any cost over-runs, he said. James Clift, policy director at the Michigan Environmental Council, said protection for ratepayers is one of the key pieces missing from the legislation. Most of the time, there's plenty of electricity to serve all customers in Michigan, Clift said. The issue is peaks that are reached, typically on hot, summer days, he said. Improving the efficiency of the electric grid through measures such as reducing line loss, and shifting loads through measures such as time-of-day pricing, could reduce those peaks and reduce the need for costly new plants, he said. Another major issue in the current legislation is the proposed replacement of Michigan's 10% renewable energy mandate with proposed renewable energy and efficiency goals of 35%. Some critics have said setting goals, rather than mandates, is meaningless, because goals have no teeth. Nofs said Friday that changes being considered to the legislation, partly in the hopes of attracting more Democratic support, would scrap the proposed goals and return to a mandate for renewable energy, perhaps one of 10% to 15%.